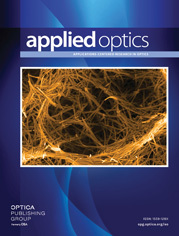 The authors are with Zhejiang University, Department of Optical Engineering, Hangzhou, Zhejiang, China. The statistical properties of a thin film surface over an extended spatial wavelength have been studied by using the methods of differential scattering and digital analysis of replica micrographs. It can be concluded that, for a given film thickness, the surface features corresponding to long spatial wavelengths greater than several thousand angstroms are dominated mainly by the substrate surface, while the fine details corresponding to short spatial wavelengths are dominated by the thin film material and deposition process. Effects of ion-beam bombardment during deposition on surface roughness are also discussed.